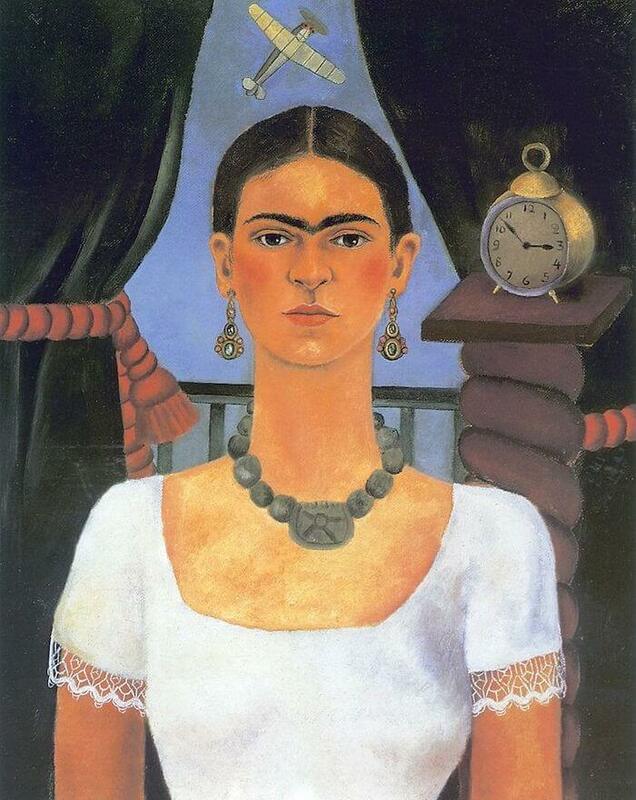 Frida Kahlo created this self-portrait in 1929, when she married Diego Rivera. It depicts the Frida in the way that Rivera cherished. In the painting, Frida is dressed in traditional Mexican costume, the style that was consistently utilized by Diego as a part of his murals. Frida Kahlo continue to use this lively colors of Mexican style throughout her whole career. Self Portrait - Time Flies was auctioned at Sotheby's in New York for five million dollars in 1920. The record makes Kahlo the highest selling Latin American artist in history.